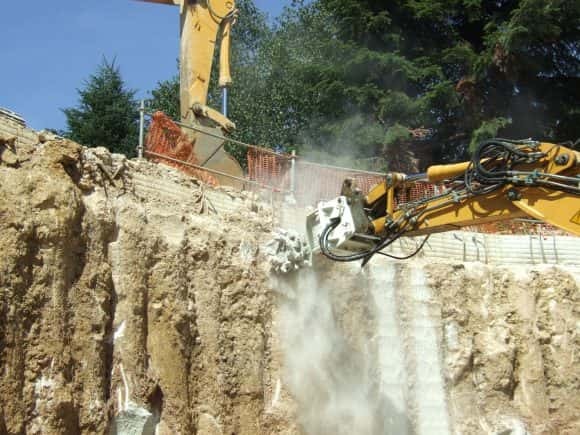 Simex rotary cutters are ideal for trench cutting on hard and compact materials, concrete or rock wall profiling, quarry works, demolition work, and dredging. 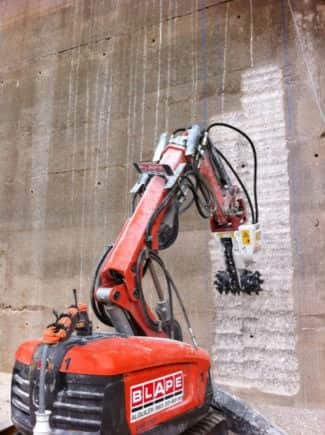 The dual-head drum cutter features an internal hydraulic piston motor and direct drive rotary cutters for maximum efficiency and minimum non-operational space between cutters. 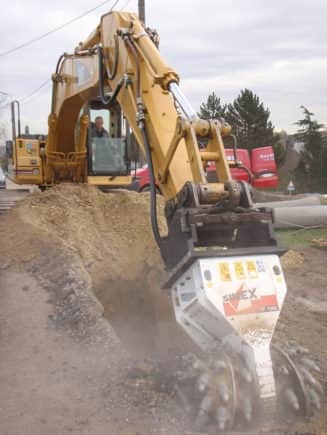 Simex Rotary Cutters are the ideal excavator attachment for trench cutting applications in a selection of different industries. 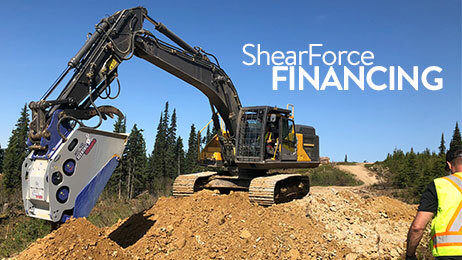 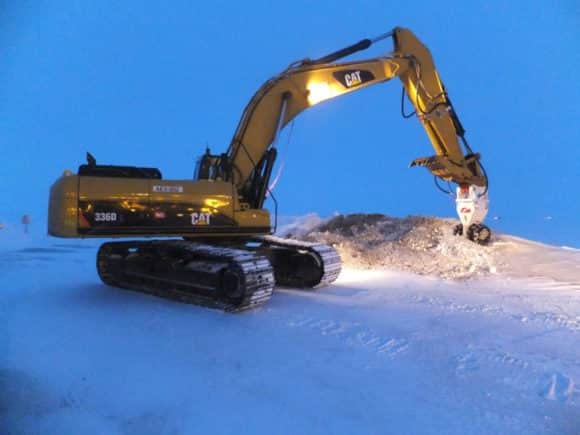 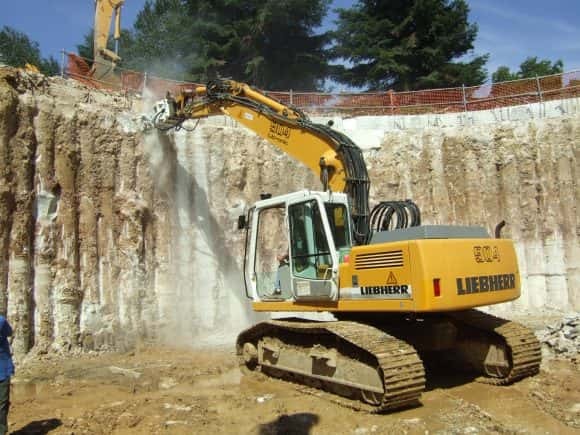 This type of excavator equipment features environmentally friendly rotary cutters that work on even hard compact surfaces without any fear of damage being caused to the shear blades. 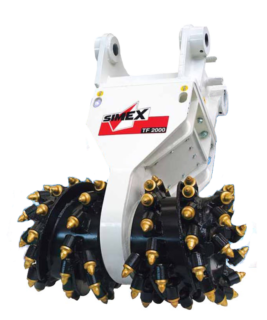 Simex high strength patented drive shaft design is not subject to the working stress of the rotary cutters, which are independently supported by long life bearings. 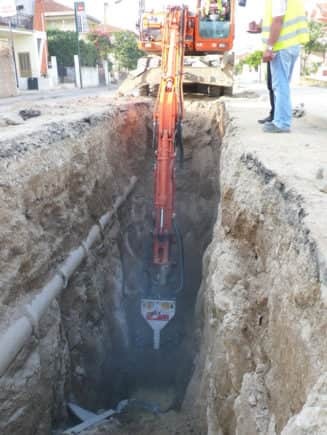 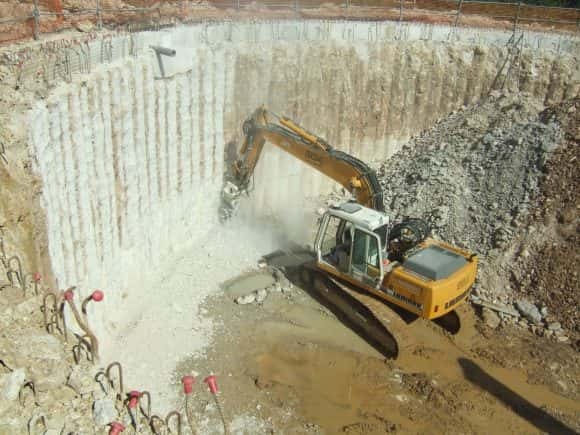 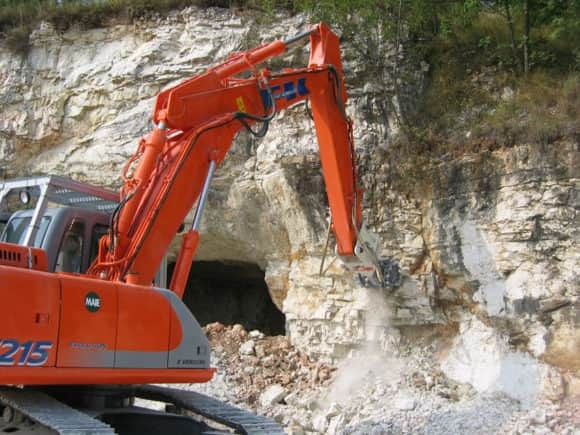 Indispensable in cases of excessive ground weakness of excavation systems where hammers are ineffective. 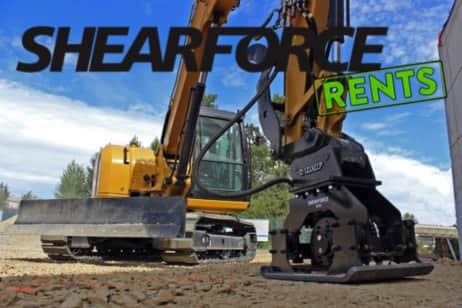 7 models to fit 2.5 – 70 ton carriers. 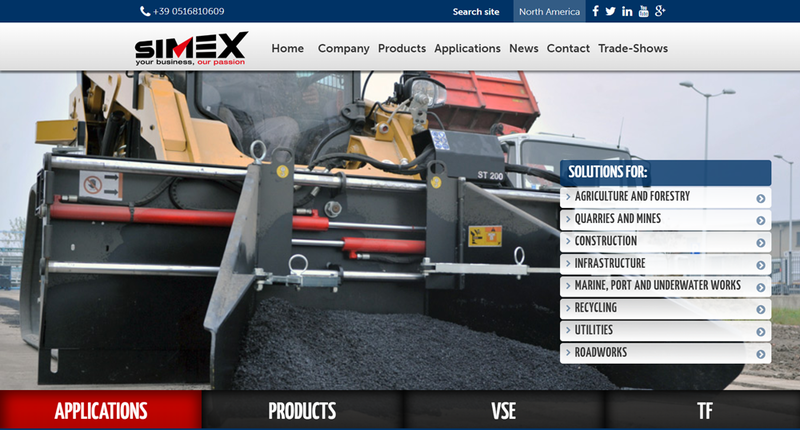 Visit the Simex website to see the whole range of specialty skid steer and excavator attachments. 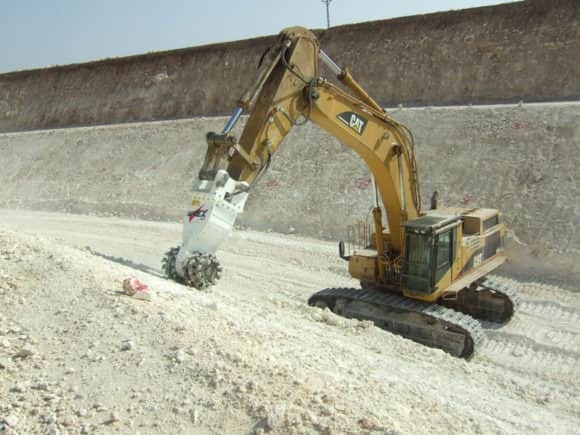 Choose from standard, wall profiling, or soft material cutting drums.